This document provides information on an evidence-based program to combat child maltreatment. This handout gives information on the rates of child maltreatment in the U.S., information on the highlighted evidence-based solutions and the components of the programs. 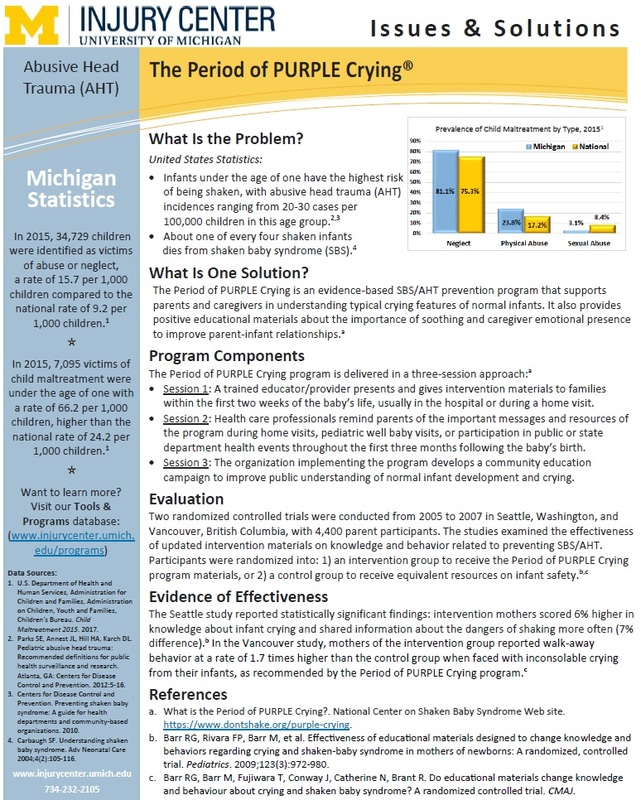 This handout highlights the Nurse-Family Partnership (NFP) program, a community health program for low-income, first-time moms and their babies, and the Triple P (Positive Parenting Program) program, a multi-level system of interventions for parents with children from birth to 16 years. This document provides information on an evidence-based program to combat child maltreatment. 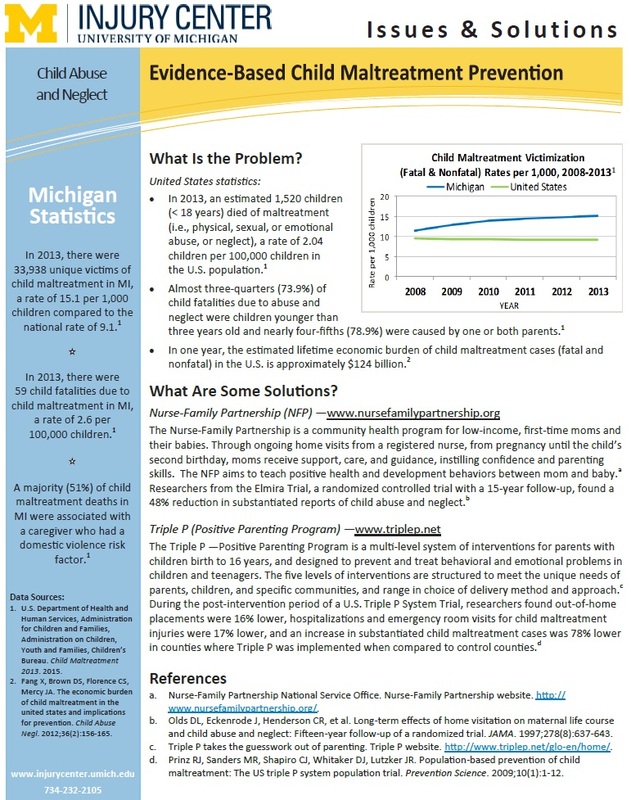 This handout gives information on the the prevalence of child maltreatment in the U.S. and in Michigan, information on the highlighted evidence-based solution and the components of the program, and the evidence for the program’s effectiveness. This handout highlights the Period of PURPLE Crying, an evidence-based Shaken Baby Syndrome/Abusive Head Trauma prevention program that supports parents and caregivers in understanding typical crying features of normal infants. 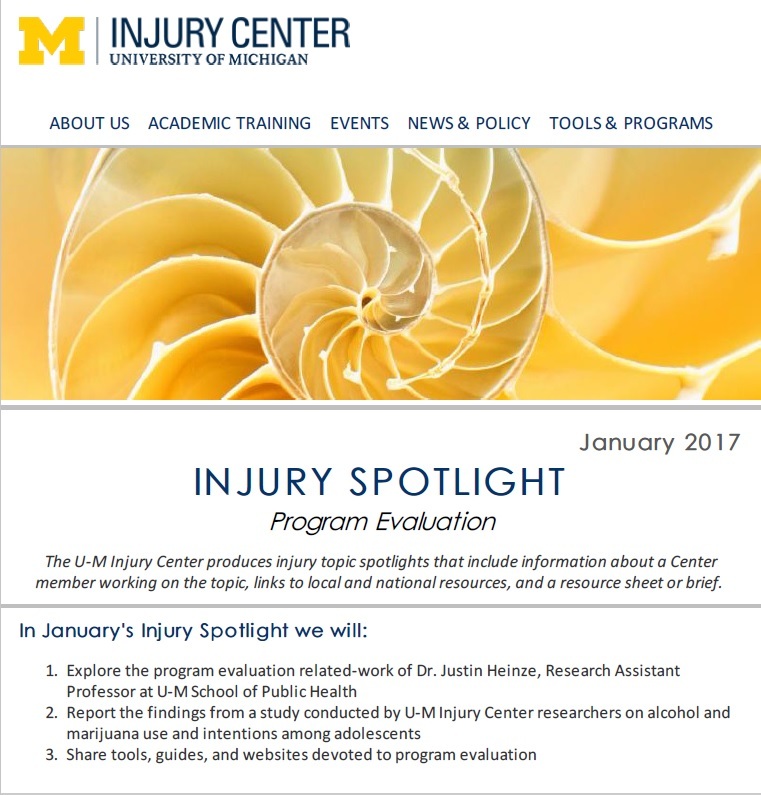 Spotlight on program evaluation work, publication brief, member highlight (Dr. Justin E. Heinze), and resources. 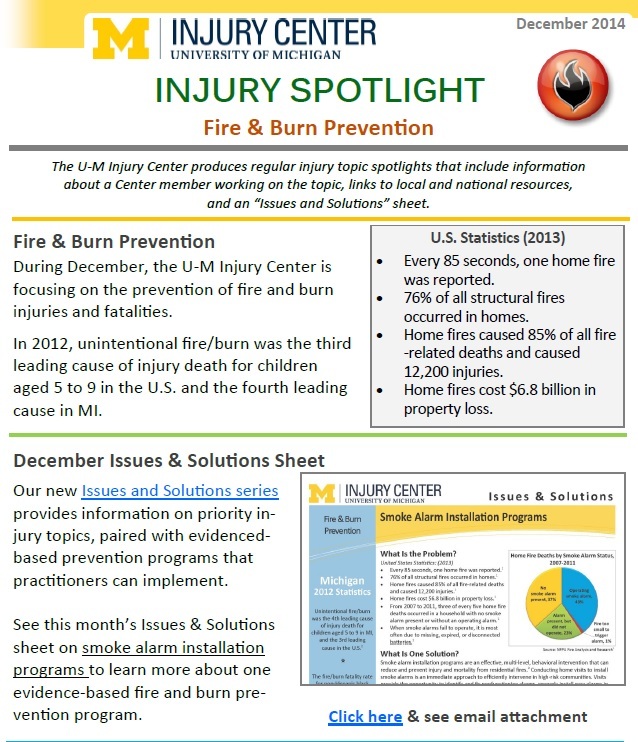 Spotlight on fire and burn prevention, member highlight (Dr. Stewart C. Wang), and resources. 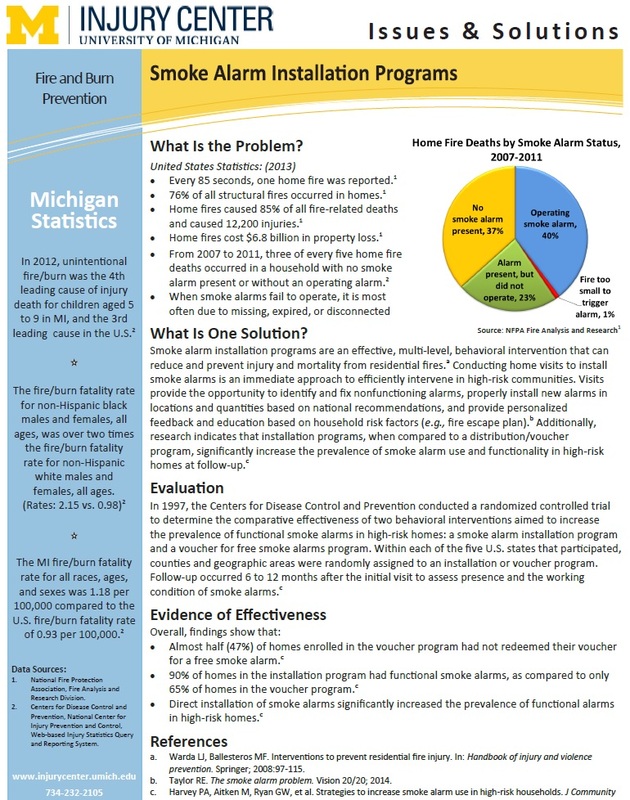 Document highlights smoke alarm installation programs.